As a major European Association dedicated to the liver and liver disease, EASL promotes research and education through the sharing of research findings in hepatology. Considering the difficulties faced by researchers in our field, the EASL Governing Board has decided to create the EASL Registry Data Collection Grant. 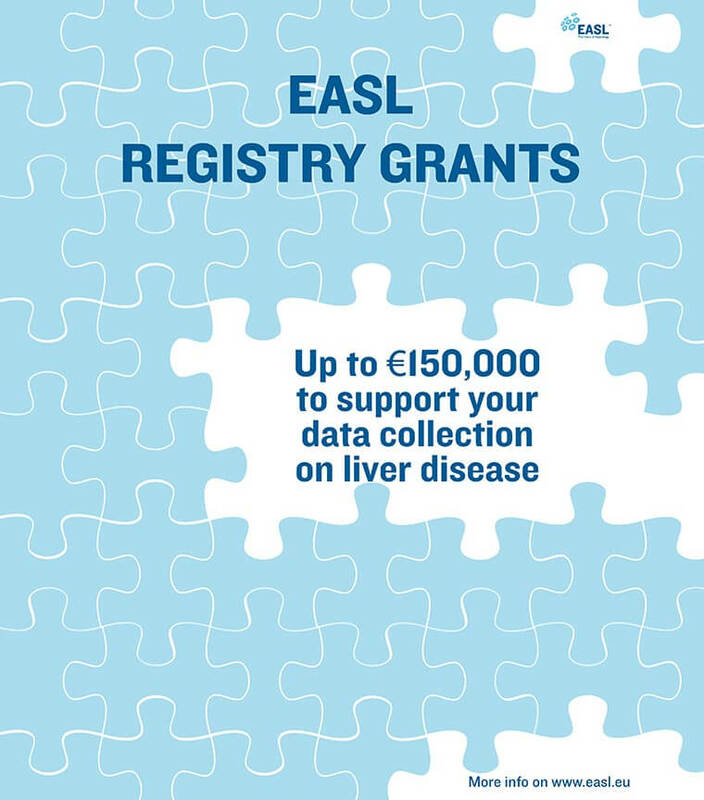 Funding provided by EASL will help to organise consortia groups dedicated to data gathering with specific focus on liver disease. A minimum of 150,000 EUR will be awarded to support one or more consortia groups.